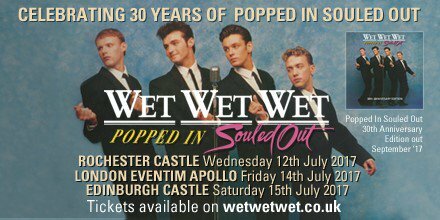 I’m so excited to announce that I’ll be supporting the legendary Wet Wet Wet this summer at Rochester Castle, Hammersmith’s Eventim Apollo and Edinburgh Castle (which has already sold out 8,400 tickets!!) I can’t wait!! !